Challenged with the task of creating a poster representing a soulful jazz artist, this poster was designed to encompass the voice and style of Emmy nominated jazz singer Nnenna Freelon. Hand rendered watercolor mixed with the bold typography allowed a rich and colorful experience for the audience. 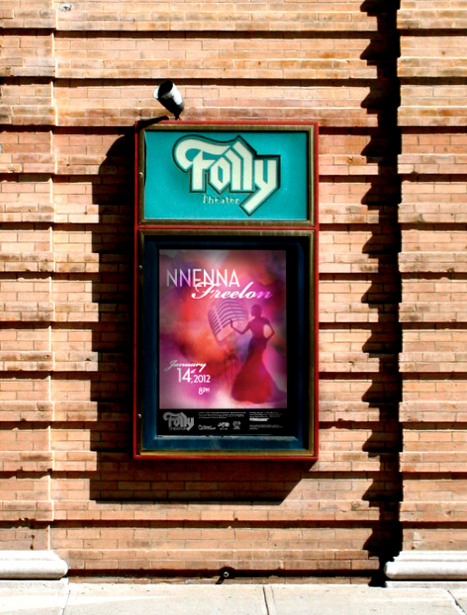 This became the poster winner and was hung at the Folly Theater in downtown Kansas City.